Annabelle has had a love affair with Curious George for quite sometime. She loves the books and the movies. 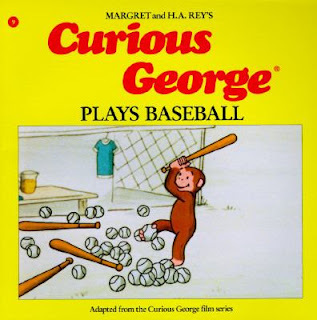 I think we've read all the Curious George books I could find and I just ordered some more through the library. At some point I started telling her stories at bedtime. We read our books together and she would be hyper and not ready for bed. To get her to listen and settle in for sleep I started telling her stories. 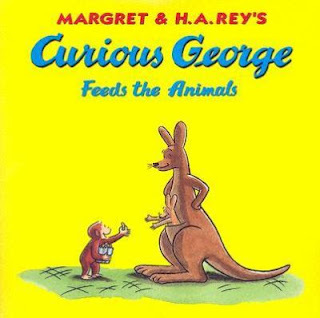 These stories involve her as the main chartacter and a little monkey named George who is a good little monkey but always very curious. One morning this week George came to our house. He has not left. He came through the front door. She actually went to the front door and let him in. He sits in the baby's high chair and Annabelle feeds him bananas. He also sleeps in the baby's crib. Sometimes Annabelle will say something like, "is it summer?" and I'll say, "no." And she'll say, "I'm just pretending, Mama." That line: "I'm just pretending Mama" is repeated a lot. I thought I was good at pretending but sometimes I can't keep up! 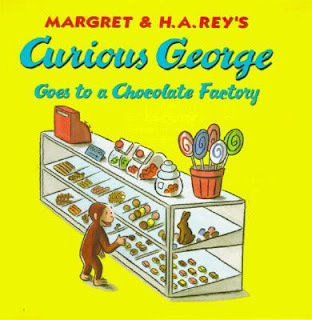 So this week we have been reading a lot of Curious George. Here are some of her favorites. 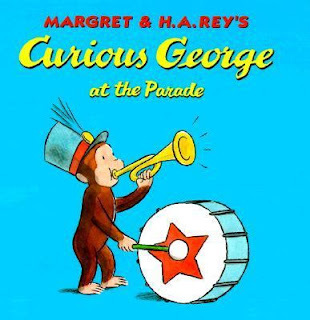 A new Curious George movie is coming out next week...I think it is called Curious George 2. My kids love the books..we like the newer Curious George plants a tree. 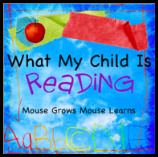 I'm so glad you linked up your post to Read ALoud Thursday this week!